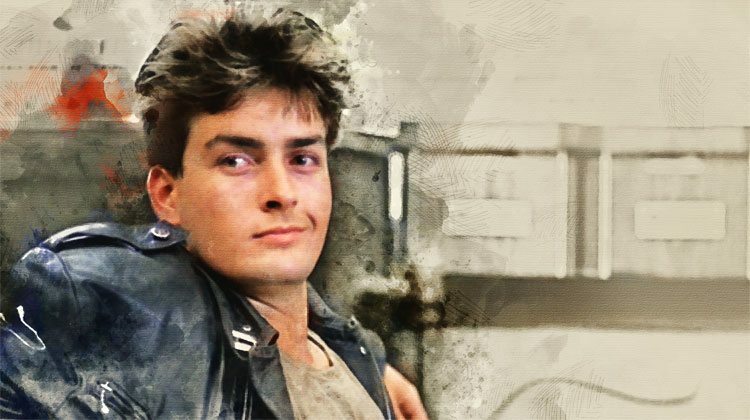 Now, I know the title of this article makes it sound like an ode to Charlie Sheen, but I assure you, it’s not. 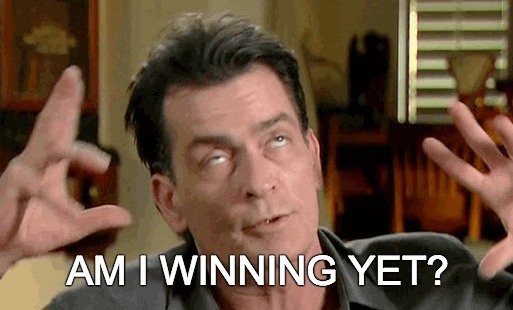 However, like Charlie Sheen, a lot of AdWords budgets aren’t winning—they’re just wasted. Over the past 3 years, we’ve audited more than 2,000 AdWords accounts at Disruptive Advertising. Although we learned a lot from all of those audits, in this article, one of our biggest discoveries was the fact that the average AdWords account wastes 76% of their budget. Fortunately, this presents a real opportunity for most business. With a little time in rehab, it’s actually fairly easy to detox most accounts and get them back to winning. In this article, I’m going to outline our process and how you can to use it to clean up the performance of your own AdWords account. What’s your AdWords budget really up to? Your AdWords budget is hard at work getting you high intent clicks that will readily convert…right? After all, paid search is all about getting your ads in front of people who are actively searching for what you have to sell. It’s a great model that works really well—provided that your ads are actually showing up in front of the right audience. Sadly, most paid search marketers make the mistake of assuming that their ads are displaying to a relevant audience that wants to convert. The problem is, that’s rarely the case. To show you what I mean, open your AdWords account and take a look at your Search Terms report. The Search Terms report shows you exactly what people typed into the search engine that led to them seeing your ad, along with how many clicks, conversions, and impressions each of your search terms got. An effective campaign will show your ads when people search for something related to your product or service. Since they’re looking for what you have to offer when they see your ad, they’ll click your ad and end up on a smooth landing page that leads them to convert. Scroll down to the bottom of your table and divide the cost in your “Total – all filtered search terms” row by your total cost and multiply by 100% to get the percentage of your ad spend that you are wasting on the wrong search terms. Note, this analysis works best if you are looking at your last 2-3 months of data. That way, you get a “big picture” view of your account performance with meaningful data you can actually use. If you’re anything like the average account in our audits, you’re wasting around 76% of your budget on searches that never convert. If you find yourself wondering what some of these queries have to do with your campaign or why you’re paying for that weird search term, you’ve probably just identified a real opportunity to improve the performance of your AdWords account. As it turns out, 94% of AdWords keywords don’t produce conversions. Worse still, in the average account those useless keywords account for 72% of ad spend. In other words, your account is blowing all of its potential on the wrong keywords. To fix things, stop paying for your useless keywords and build some new, focused campaigns that are set up around the keywords and search terms that are actually working. Your campaigns should improve immediately, but you’ll want to check up on your Search Terms report every few weeks to ensure that your account is running right. With less blatant problems, it can be harder to see what’s going on, but the Search Terms report can still uncover a number of specific problems. For instance, if you have relevant search terms that aren’t converting, you can probably stand to switch up that term’s advertising strategy. You might try building more specific landing pages or ads or even just test new ad copy until something works. If none of that works, it’s also possible that the term just isn’t as relevant as you thought. Alternatively, you might discover search terms that don’t show up individually all that often, but share some sort of common denominator (like an irrelevant location-specific element). All together, search terms like this indicate bigger flaw within your keyword strategy that’s in need of fixing. Whatever the results, knowing where your ad spend is wasting away give you a wealth of information that can aid in improving your campaign’s performance. What’s an acceptable level of waste? You can never have 0% waste. No matter how optimized your account is, you’ll never be able to completely eliminate all the random searches and clicks in your campaigns. Tests fail. If you’re testing out new ads and keywords on a regular basis (and you should be), some of those keywords will work and some won’t. But, if you’re learning from your tests, it’s okay if you waste some money on the wrong keywords. Can you get your wasted ad spend down into the 20-30% range? For sure, but doing so can limit your campaigns in other ways. The good news is, detoxing from a bad keyword addiction takes a lot less time than detoxing from a drug addiction. In fact, if you’re wasting a significant portion of your AdWords budget on the wrong searches, you can see profound improvements in your account in a matter of weeks. The left side of this GIF shows the total spend per search term along with total conversions per term. The right side translates this data into total ad spend and total conversions. When you’re not paying for the wrong search terms, conversions go up while spend goes down. And to make things even better, the improvement isn’t linear, it’s exponential! According to our research, every 10% decrease in wasted spend leads to a 30-60% decrease in cost per conversion. Think of it this way: If you are wasting 76% of your ad budget and you get that number down to 66%, you will see your cost per conversion go down by up to 60%. If you can drop your wasted spend down to 56%, your cost per conversion may drop another 60%. See how quickly their cost-per-conversion fell? In a matter of weeks, it dropped from $160.38 to $38.58! To make things even better, this technique really doesn’t affect the quality of your conversions or your close rate. After all, you don’t have to change what’s working, you’re just getting rid of what isn’t working. While we don’t get sales data from every client, in general, our clients see their cost-per-sale drop by 25-65% using this approach. 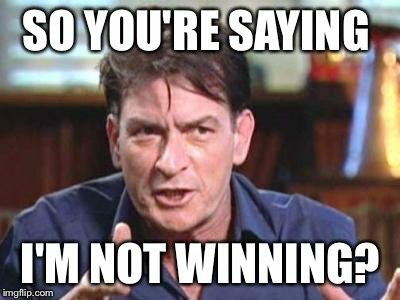 I hate to break it to you, but if your AdWords’ budget is wasted, you’re not winning. Fortunately, simply by taking advantage of the information in your Search Terms report, you can quickly detox your AdWords campaigns and start delivering real results from your paid search efforts. So, are you ready to win at AdWords? What do you think of this tactic? How much waste did you find your account? Got any other AdWords detox advice to share?